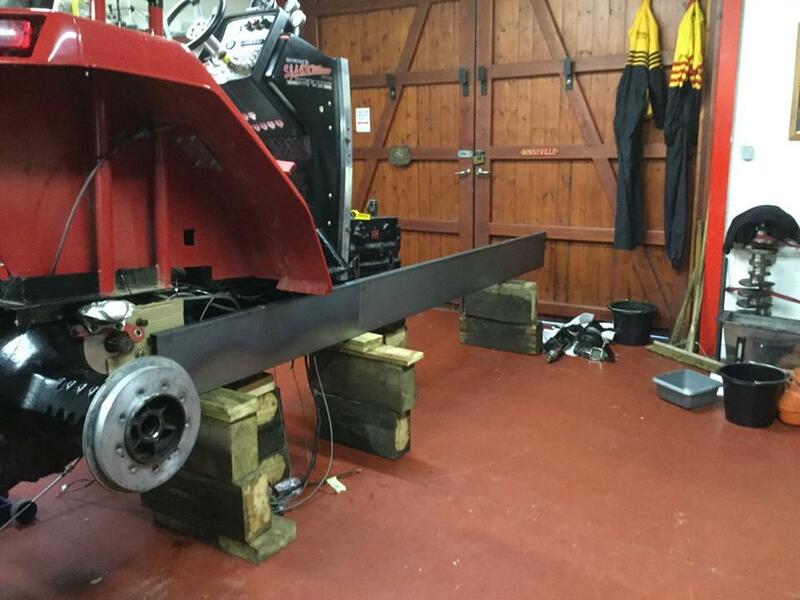 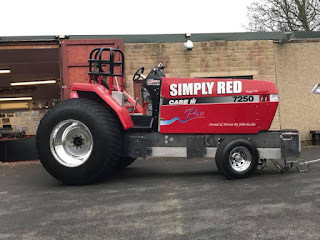 From Great Eccleston, in Great Britain, the Simply Red Pulling Team around John Eccles have newly rebuilt their Case IH Magnum 7250 Pro Stock Tractor during last winter of 2017 / 2018. 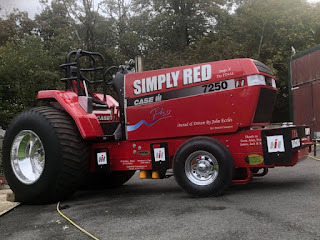 At the end of the 2017 season, the Simply Red Pulling Team decided it was time to make a new chassis for their Pro Stock Tractor called ,,Simply Red´´. 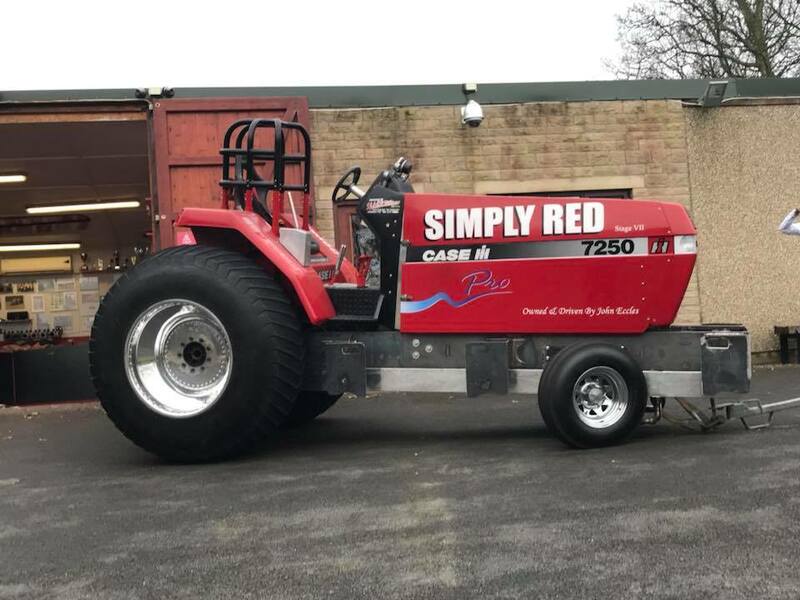 The original tube chassis was built in 1993 by Allan Williams who ran the Modified Tractor called ,,Limited Edition´´. The chassis was still in good condition but with all the changes over the years gearbox housing, intercooler, skid bars etc. 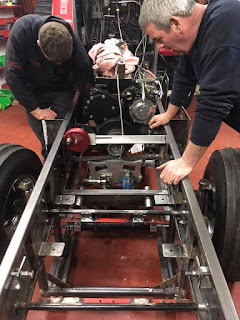 and the frame had been converted to a split to inspect the clutch it was felt the time was right to give the Pro Stock a new face lift and a newer look. 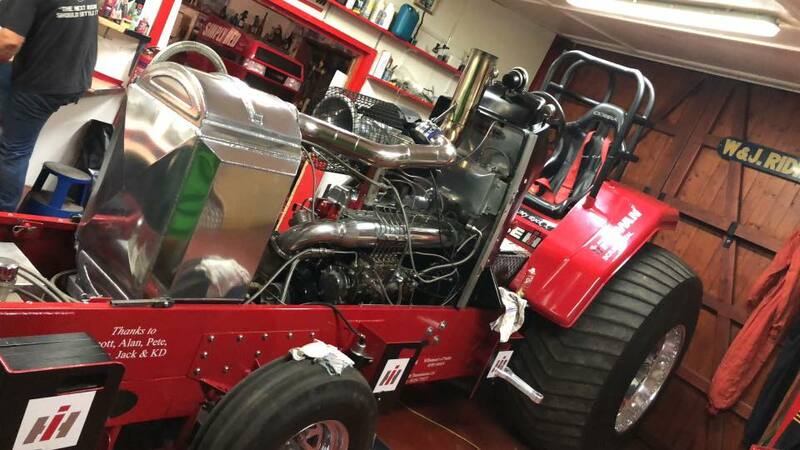 The rebuild of the Case IH was started in October 2017 and as with all projects took longer than expected and was finished just before the start of the 2018 season. 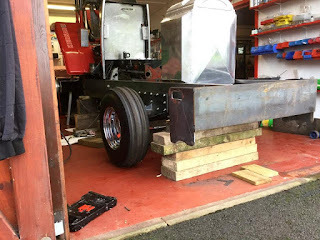 The Tractor got a new steel wedge frame with a homemade steel rollcage, a hydraulic steering, new engine and Intercooler brackets, new constructed weight brackets and homemade steel wheelie bars. The machined IH cast iron rearend, the gearbox, the bell housing, the ROP and the steering system were took over of the old Simply Red Tractor. The new frame rails were constructed from Weldox 700 steel and were formed by a local company in Preston, next to were John works. The newly built chassis is lighter than the old one and they have now more movable weight than at the old one. John Eccles and his Team also had purchased a set of new cut Firestone Puller 2000 HP Pro Stock tires. 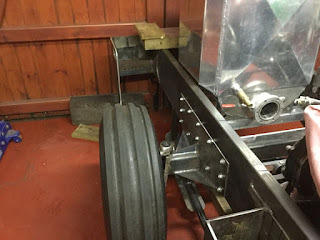 The tires were mounted on the old set of polished Midwest aluminium rims. 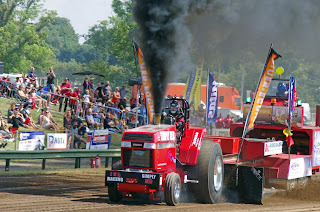 With those new tires they are hoping to have a better grip and performance on the British pulling tracks in the future. 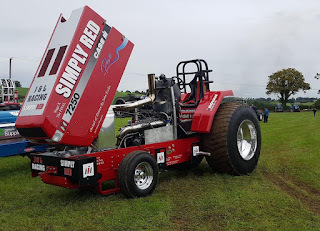 During the 2018 saeson, the new Weldex wedge chassis has performed well, but the Team suffered a major turbo fail at the first pull of 2018 in Kirkbride, but finished the season well after suffering with fuel pump problems which took a while to solve. 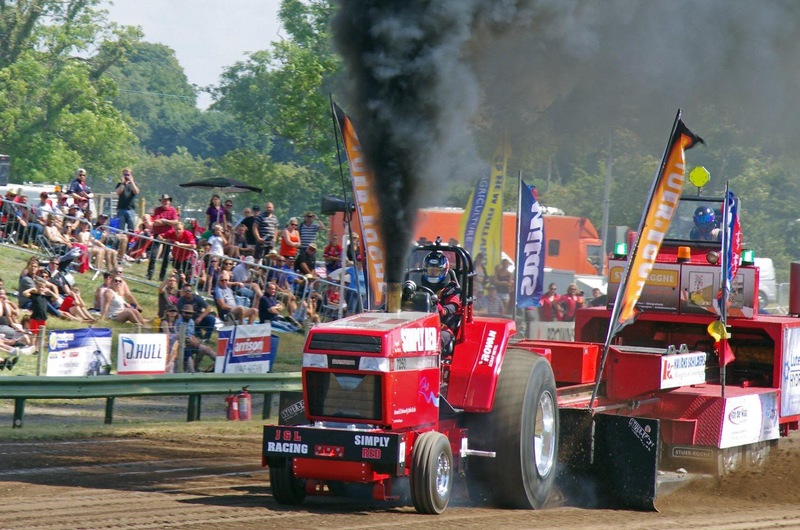 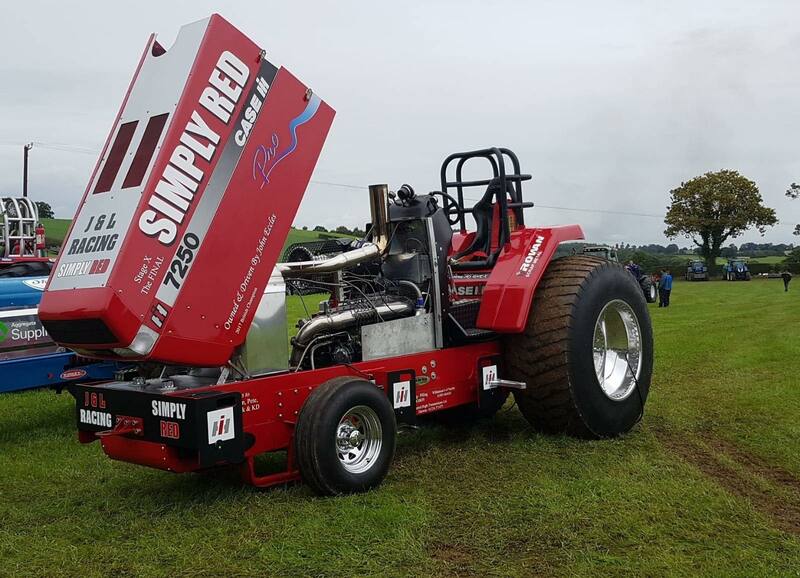 The Simply Red Pulling Team also will compete again with their Case IH Magnum 7250 Pro in the British Championship in 2019. The whole Team already looking forward now to the upcoming season. 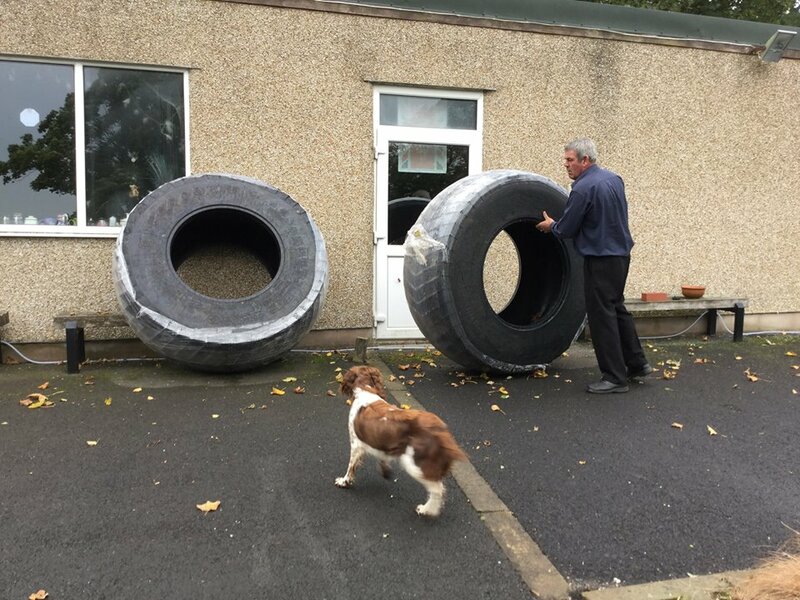 Driver and owner John Eccles would like to thank all the team for their hard work and support !